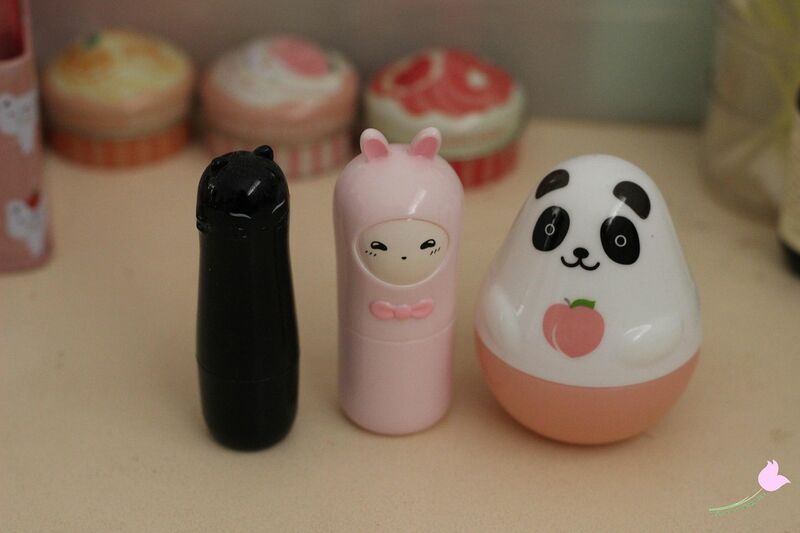 Y'all know by now that I can't resist kawaii things, so today I'm going to review this cute perfume bar from Tony Moly. Yes, I said perfume bar - this is a fragrance that instead of coming in the form of a conventional spritz, comes in the form of a solid bar instead - sort of like deodorant. And best of all? It comes in the shape of a bunny rabbit! They're widely available on-line in places such as ebay, and normally retails about $10. These fragrances are quite small, standing about the height of a regular lipstick, and about twice as thick in diameter. They're the perfect compact size to carry around in the handbag, the lid snaps quite tightly so it's not likely to fall off, and the perfume stick has another plastic cover for extra protection. To use the fragrance you need to twist the solid perfume up - it really reminds me of those twist up glue we used in school, lol. To apply this you can rub the bar onto your wrists/neck or use your finger to apply the fragrance. If you do apply this with just the bar it may leave behind a sheen so you still need to massage it into the skin with your fingers. The perfume bar I chose is called Dodo Rose (what a funny name!). It seems to be the most popular one, so that's why I picked it. The scent includes top notes of bergamot, ginger, and grapefruit, middle notes of apricot, peach and neroli (floral), and a base note of white musk. The scent is pretty mild, and only tends to last a few hours on the skin, so re-application throughout the day is a must. To be honest, even though I've read positive reviews on this particular fragrance bar, I have to say I'm not a fan of the scent. It's a little too floral-musky for my taste whereas I like more fresh or fruity scents. But I guess that's the downfall of purchasing fragranced things over the internet! Personally, I think the best thing about these perfume bars are the super cute packaging. I rarely use this, but at the very least it looks super duper cute sitting on my dressing table...with all my other animal themed makeup, lol. STOP POSTING REVIEWS OF CUTE BEAUTY PRODUCTS. jkjk I love them! But they tempt me so much. Oh this product looks so pretty with that package! I have the Tonymoly Sleek Mist and I love it this packages! Many thanks for share your honest opinion. This is tooo cute! Although I don't really like this sort of perfume style.. Your dressing table/makeup collection must be so cuttee! This is so cute! And surprisingly small sized! WAY TOO CUTE :) too bad you dont like the scent.. I have the same one! Luckily, they sold this in one of the local Asian cosmetic stores so I was able to smell all of them before buying. The girl at the counter taught me a trick to applying it, she said that she usually rubs some of her fingers and then dabs it on her wrist/neck so it's not over powering and that way, the smell will be "even." I love the packagings with animals that Tony Moly makes. These are so adorable ! It would be the perfect perfume to bring in an hand bag ! The packaging of this is so cute <3 I like the idea of this coming in a solid bar. Too bad you don't really like the smell, it's always a gamble when buying such things without being able to try them out. Thanks for sharing this review! I love the cute packaging of Tony Moly and would like to buy those stuff, too but I can't found the brand in my nearer surroundings. But as the scent is flowery I wouldn't take it because I'm more into fresh scents haha. Hehe, but I must share the cuteness! So cute!! 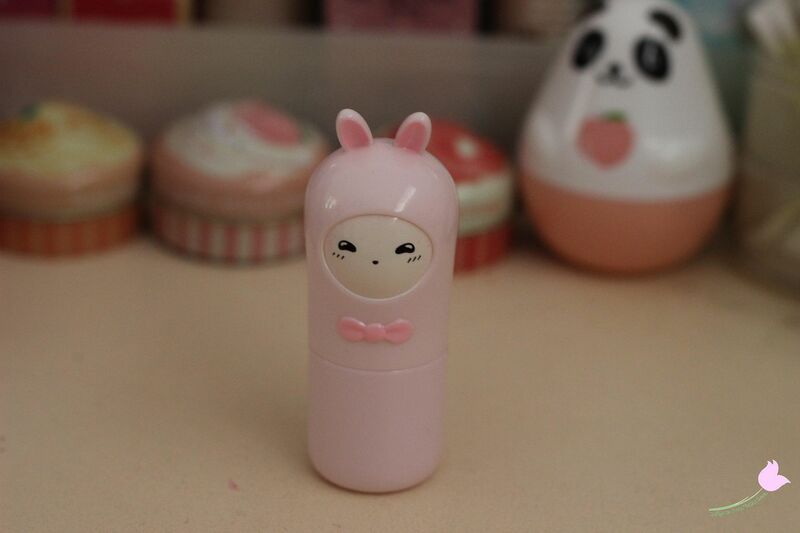 I wish they had the bunny packaging for lipsticks or something I'd rather that than perfume. Glad you enjoyed the review! Yep, it can be frustrating when you can't look at a product before buying it locally! Yes they are - I love the panda the most too! 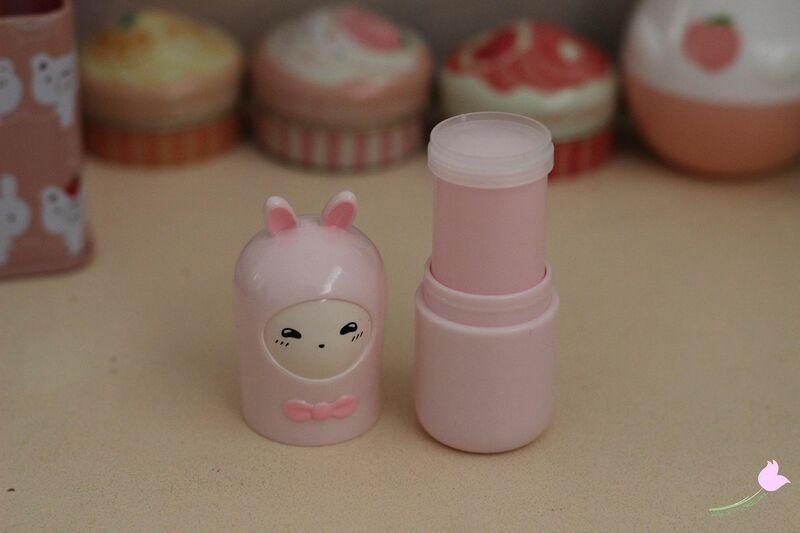 Lol, I'd buy a few lipsticks if they were packaged as bunnies! 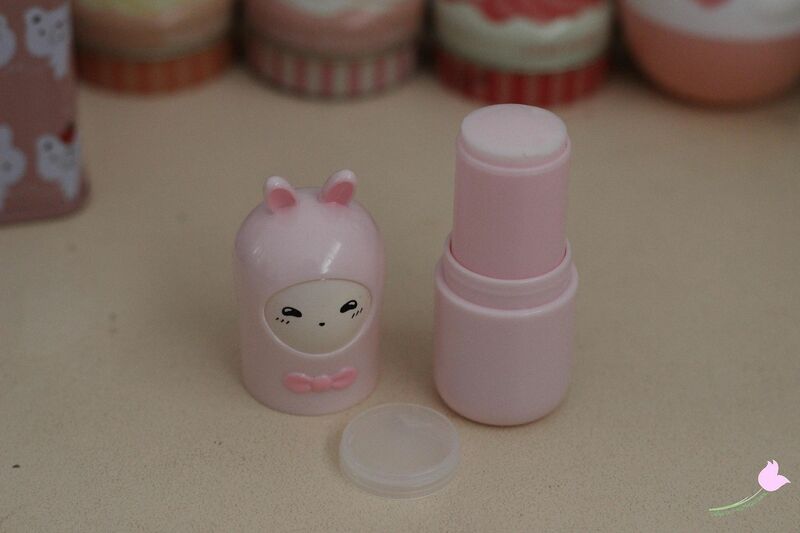 Tony Moly does have some lipglosses with a bunny shaped cap I think! So adorable and cute! :) I haven`t tried this yet but I tried the Etude House perfume bar and it`s just the same. The scent didn`t lasts me that long also. awww! I wish I read this review before I bought one overseas! now I regret not buying more!!! Do you know where I could buy it online? check out my review maybe, please? If you prefer fruity scents, you could try their "Momo Fruity" scent, which smells like peach.